It was morning and the sky so blue. Shielding us from the sun and the noises of the city. The grass was still wet from yesterday's rains. Of the creepers and bushes and trees. Was it little leaf, blown in the wind? I can see myself, a gnome lost in a sea of grass. And I believe, looked up at me, patiently. Bending low - oh, how my back aches, how my hands tremble! Bending low, I reach out to her gently, my fingers, a cradle. Buddha is smiling though, and I too smile at her. Of heat and lack of love. Set fire to the grass and ravage the soil. Light refuses to come in, afraid of the blackness of our minds. We will not see the Drongo's nest falling onto the ground. We will not feel the shade, the wind in these trees, ever. My little one, my Dark Grass Blue, you too will be gone. 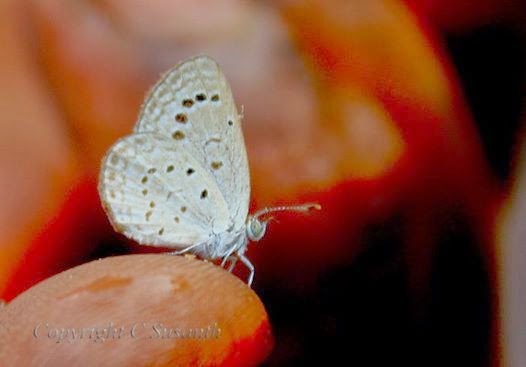 Note: Dark Grass Blue-Ziseeria karsandra - A common blue butterfly seen in low elevations.Gardens and open places. The Attakulangara School campus of 5 acres of wooded land right in the heart of Trivandrum city with more than 100 trees is earmarked for a bus terminal and shopping complex. 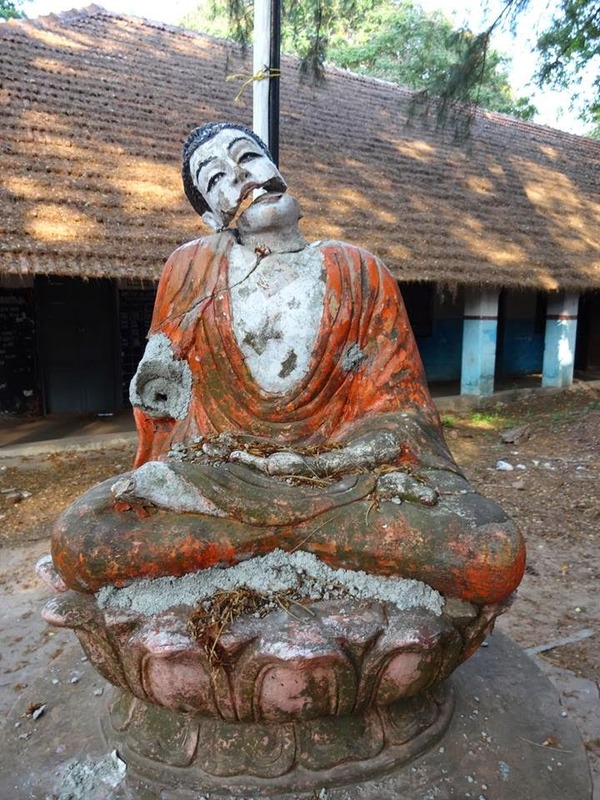 A beautiful statuette of the Buddha in the school compound was smashed apart by some miscreants. It very beautiful blog and very nice photos thank you for sharing us.